Bars are shipped within the Continental United States only. International shipping is not available. 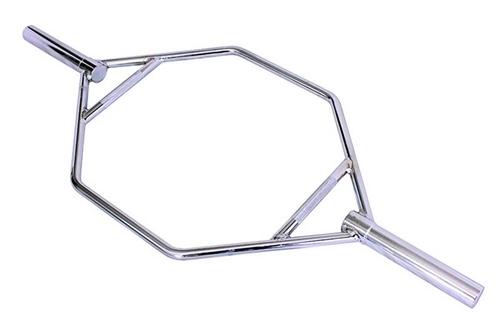 The Ader Olympic Hip Hex Bar w/ Straight Handles is chrome plated and heavy duty commercial quality with knurling. This special bar puts your arms at your sides for shrugs instead of in front or behind you with a regular barbell. The bar is designed for working your traps by doing shrugs with heavy weight. The trap bar (also known as a Hex Bar) might just be the greatest innovation in strength-training equipment.